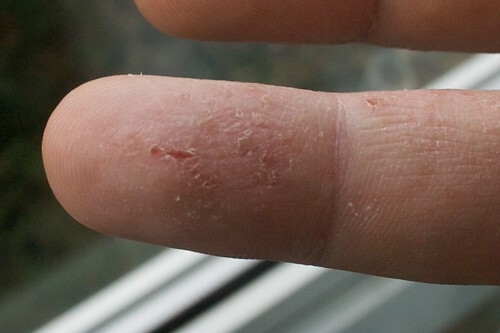 My son has eczema and I wasn't surprised at all when I saw the familiar skin peelings on his fingers. My sister has it, my lola had it, even my mother-in-law has it! Although eczema is an allergic reaction of the skin to some irritants/allergens, it is still a fact that genetics plays a big role in having this disease. Other than genetics, I also blame the weather and some food items for his eczema. When my son was still younger, his pedia prescribed a topical steroid in cream form. It did help lessen the itching and the peeling but it was still there. After some time, the symptoms just went away without us applying the cream anymore. So we decided to just let it be every time it appears I know that steroids are not too good for the body. Besides, I've seen eczema pictures that are worse than my son's condition so I'm not worrying about it too much. Hay, times like this I wish my son could have inherited money instead of eczema from our relatives. Hahaha!